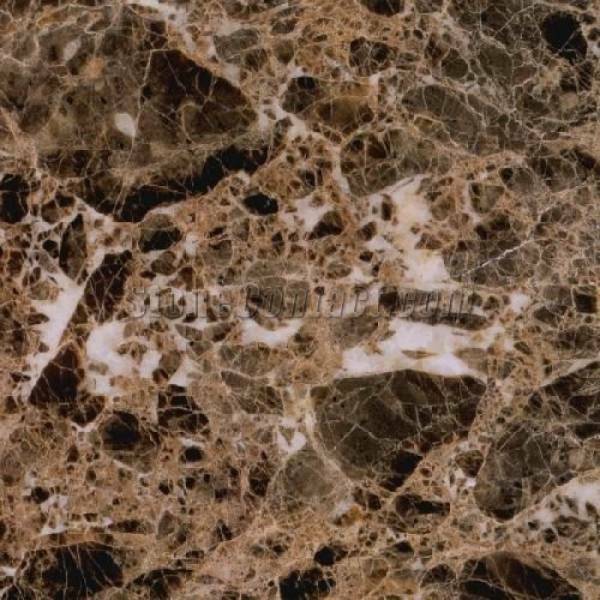 Emperador Dark is one of the most exquisite stones. As a great design element you can choose to use our broad selection of mosaics at your kitchen backsplash, shower or bathroom. Flooring is brilliant with our great size selection of tiles and borders from 24x24 to 4x4. We carry all sizes and surface types such as tumbled, polished or honed.